Welcome on arrival at NJP / Bagdogra. 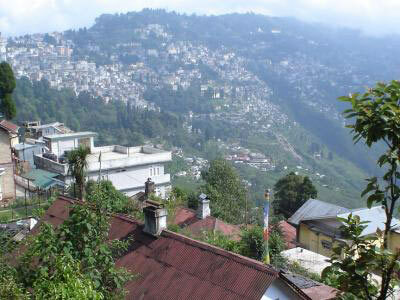 Transfer to Darjeeling (94kms/3hrs). Arrive and check in hotel. Day free at leisure. Overnight at Hotel. Early morning at 3.30 AM start for Tiger Hill to watch the spectacular sunrise and its amazing effects on the Mt. Khangchendzonga (Worlds 3rd highest peak), Visit Ghoom Monastery and Batashia Loop War Memorial while returning to the Hotel. Breakfast at the Hotel followed by full day local sightseeing covering Padmaja N. Zoological Garden, Himalayan Mountaineering Institute, Tibetian Refugee Self-help Center and visit to the Mall and Local Market (City Life). Overnight at Hotel. Morning starts the full day sightseeing in and around this capital city of Sikkim, covering Chortan, Stupa, Institute of Tibetology Institute of Handicrafts and hand looms & Roomtek Monastery. Overnight at Hotel. Morning transfer to Gangtok (114kms/5hrs), en route visit Teesta, evening free, overnight at hotel. AM start for a half day trip to Tshongu lake (12400ft), which is only 32kms from Gangtok City, Evening free for shopping. Overnight at Hotel. Morning Transfer to Kalimpong (78kms / 02hrs), Arrive & check In hotel. Half day sightseeing in and around Kalimpong covering Durpin Dhara, Zong Dog Palri Fo-Brong Monastery, Flower & Orchid Nurseries & Kalimpong Market. Overnight at Hotel. Transfer to NJP / Bagdogra Airport (70kms/1.5hrs) for your flight to home destination. Tour Ends with sweet memories.